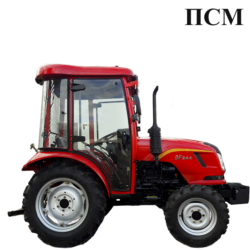 Minitractor Jinma (Jinma) comes with the largest tractor-building plant in China. Diesel mounted on the tractor completely corresponds to the German and is produced at the same plant as the German production. The minitractor is equipped with a power steering, exhaust gases comply with the Euro-3 standard, with 2 hydraulic outputs, which allows the use of complex attachments. Minitractor can be equipped with lawn wheels and inter-wheel lawn mower , which allows it to be used on football fields, golf courses, artificial lawns. 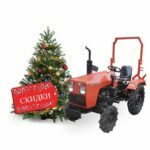 The Jinma-244kpl mini-tractor is equipped with a heated cabin, which will make it possible to work comfortably on the minitractor in all weather conditions. 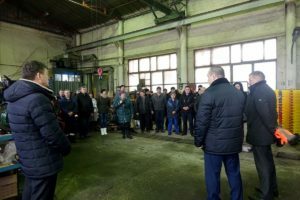 Minitractor perfectly proved itself in the Chelyabinsk airport Balandino performing work on cleaning the territory, bringing cargo to the aircraft.